One year. It’s really not that much, even in one person’s life. There are whole years in my own life from which I probably couldn’t recall one clear moment. And yet, when I look at Blackbird, I am stunned at what one year has brought. Can it have been so little time? Can that little span of time have been so vast? Has this past year* been a good one? Is she happy? Who is she? Is this her that I’m beginning to see? Am I seeing Blackbird, or am I seeing myself through her? Am I happy? Would the me of a year ago see this as happiness? Or am I a different person for whom the old definitions no longer apply? Has she changed me or have I changed myself for her? After one year, I couldn’t say for sure. But this isn’t about me, so let’s look at Blackbird. Blackbird has become such a joyous and expressive little person. She challenges my assumptions about what would make a child happy. Her sense of self is very strong, which I love. Her laugh is genuine and, while not rare, is not easily elicited. She gives amused expressions of delight and little percussive laughs easily. But a full chain of baby laughter is reserved for those times when she’s truly lost in happiness and surprise. I am addicted to it. She has a fearless and purposeful will that fills me with pride and worry. I know that she will be stung, scraped, bruised, and burned. When she is frightened she looks at us with such needful eyes and clings with her whole body. I know that she will eventually stand in the face of these fears without me. This also fills me with pride and worry. We celebrated her birthday surrounded by family and friends, in a small gathering that ebbed and flowed throughout the day. Blackbird was gregarious and playful with everyone. She tried her first cupcake (above) and seemed pretty happy with chocolate icing (which we failed to get good photos of, but definitely fit the classic baby-with-iced-face model). I hope she will always be surrounded by people who she can be comfortable with. I want her to see and experience friendships and family relationships with and between children and adults. Blackbird loves to experience new things and is often a nearly un-containable squiggle of energy. But when it comes to sitting in chairs, she seems to have more patience than usual. Perhaps this will fade, but for now it gives her the bearing of a little lady. She smiles and occasionally sways back and forth in a sort of compressed rocking motion when she’s in her rocking chair. She has a seemingly endless fascination with books and papers, which pleases me to no end. Alisa and I both want her to enjoy reading as much as we do. I indulge myself by imagining she also likes the design and the type. I choose to believe that she’s sticking her tongue out at that junk mail purposefully. Perhaps she’s disdainful of the crass commercialism? Maybe she wishes the type had been more tastefully arranged. There is no big explanation for this one. I put a sweater on her head. She is wearing a sweater hat. Seeing Blackbird connect with others is always fun. She responds to everyone a little differently. She and Uncle Brian, for example, focus on grooming while enjoying a beverage. This is crucial info for babies and programmers alike. Whereas Aunt Rebecca brings a more dental focus to the evening. She loves teeth and has become interested in the concept of ‘inside’ versus ‘outside’. Blackbird, that is. Aunt Rebecca can always tell you whether something is inside or outside, which is why they let her practice law. Blackbird loves music. She will dance at the drop of a hat. Well, at the drop of a note. I never would’ve expected that from my child, but that’s part of what makes it so fun. Here she’s probably getting her groove on to the interstitial music of NPR during meal time. She can shake it anytime, anywhere. She has been seen dancing to the Doogie Howser, M.D. theme song. And then there’s bath time. The time when we do away with our pedestrian values and scurry, pants-less, about the bathroom. It’s all in anticipation of the soothing tub waters, gently rippling around our poochy belly. Then, of course, there’s the shampooing of our splendiferous mane, which Daddy sculpts into hair topiaries of majestic proportions. And we finish up with a quick dry-off. There’s a big upside to being smaller than your towel. Add a knit kerchief to that healthy, full-bodied hair and you’re set for a chilly winter day. This is one of Blackbird’s piercing stare moments… I can feel you judging me. Stop judging me! Her hair had actually gotten a bit out of control. You can see it above post-pony tail. That is levels beyond leonine. 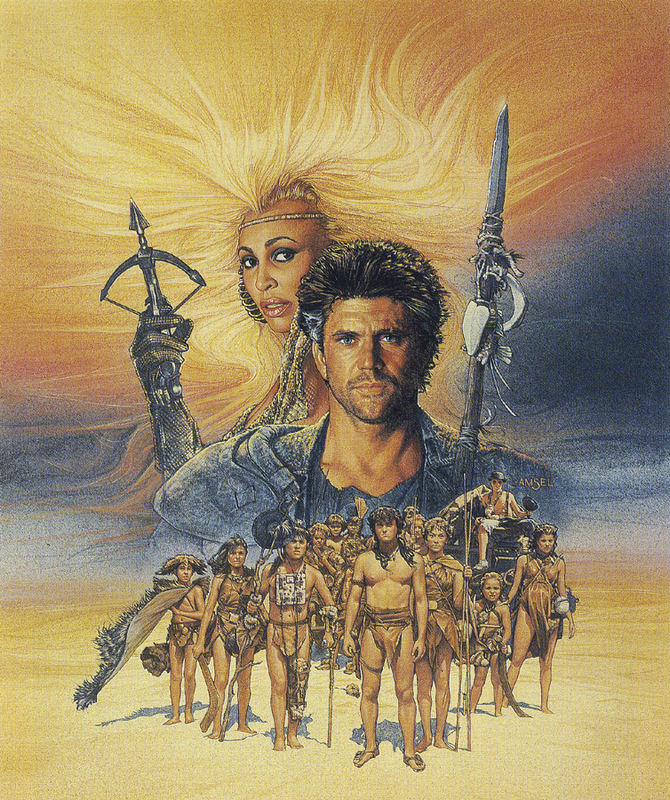 That is full-on Beyond Thunderdome. It was getting tough to work around and to keep free of food, which is worse than it sounds. Imagine getting hardened food out of your own hair. Now try it with someone who has no self-control and communicates primarily by shouting. It took a lot of nagging on my part and more than a little apprehension, but the day came. That’s right. She got even cuter. I didn’t think it was entirely possible, but here we are. The process was unpleasant, but the first haircut was a success. Props to Alisa on that count. She is a meister with the scissors. And so, here we find ourselves with a little person who can sit at a table in a chair and eat goldfish crackers at our local coffee shop. We look at her and wonder what she’s thinking. How much is going on that we don’t know and that she can’t yet express? When we speak, how much of our words does she understand? And what does she take from them? Has our year together already cast the dye? From this point on, is it all just learning what we mean when we act the way we do? I look at her and wonder. But now I’m pretty certain she’s doing the same thing to me. This entry was posted on Tuesday, March 10th, 2009 at 11:06 pm	and is filed under Blackbird. You can follow any responses to this entry through the RSS 2.0 feed. You can leave a response, or trackback from your own site. Of all the photos, seeing her sitting in the tub so self-contained really struck me. It seems just moments ago that I bought the plastic tub with the sling insert so that, as a newborn, Blackbird would be secure and, then as a toddler, she would be contained. Wow, none of that is needed anymore! You’re right, what a difference a year makes. And needless to say, this Grandma and Grandpa have loved this year’s time with little Blackbird, the light of our life (although of course we love all you children just as much as always!). I love all of the latest photos of Blackbird. Her new coiffure is very chic! I particularly like the photo of her with her book and her goldfish crackers. She looks like she not only devours her crackers, but also her reading material (with big holes). Gram is impressed with your voracious reading. Can’t wait until April 3.
oh man. don’t even have words.